On this episode, hosts Nell Larson and Chris Cherniak spoke first with Matt Pacenza, Executive Director of HEAL Utah. Matt talked about Energy Solutions plans to accept depleted uranium at it's facility in Clive, Utah. He also discussed why a proposed bill to weaken state-defined building codes would result in the construction of homes with poor energy efficiency. In the second part of the show, Benjamin Skolnick with the American Bird Conservancy talked about the benefits of purchasing shade-grown coffee will have on not just birds, but ecosystems as a whole. 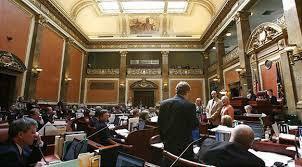 On this episode of This Green Earth, host Chris Cherniak spoke with Matt Pacenza, Executive Director of HEAL Utah about the 2015 Utah State Legislative Session. Paul Murphy of Rocky Mountain Power also joined the show to talk about several of their environmental initiatives, including several Wattsmart programs. 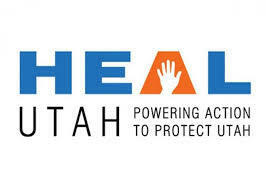 Heal Utah is coming out against the proposed fee on Utah households who produce their own energy - and will be in Park City Tuesday to give residents ideas about how to fight it. KPCW's Leslie Thatcher has more. Hosts Chris Cherniak and Nell Larson welcome entomologist Dennis vanEnglesdorp to This Green to talk about his recent paper on the health of bees gathering pollen from plants sprayed with insecticides and other chemicals. The the policy director of HEAL Utah Matt Pacenza talks about why the state needs to pursue cleaner renewable energy resource and why the public should be involved. Even with overwhelming public support for renewable energy - Utah's renewable energy production has remained stagnant. But HEAL Utah - and some Summit County residents - hope to change that. KPCW's Leslie Thatcher reports.